office space for rent in Santacruz ( east ) , Mumbai near station 400 sq ft semi furnished commercial building , car park on lanes Rs 65 K- Rent offices spaces/ commercials in santacruz east ,commercial ,premises, buildings, Mumbai ,Western Suburbs. 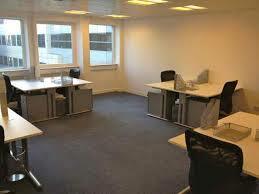 Office space for Rent in Santacruz ( east ) , Mumbai !! ﻿300 sq ft office space for ent in Santacruz ( east ) , Mumbai ﻿semi furnished near station 32 K- Santacruz east rent commercail offices spaces in santacruz east / commercial / premises / buildings in Mumbai Western Suburb. CALL NOW IMMEDIATE DEAL ASURED !!!! ﻿Rent office in santacruz east,at Cst road, 400 / 600 / 1000 / 1200 / 1600 / 2000 /sq ft semi furnished Rs 130 to 175 K per sq ft - Rent offices spaces in santacruz east ,commercial ,premises, buildings, Mumbai Western Suburbs. ﻿office space for rent 1650 / and 3300 sq ft Rs 80 per sq ft ﻿ in Santacruz ( east ) , Mumbai ﻿ Old Anand Nagar, Opp Lions Club Hospital, Santacruz (East), ground plus ist floor can be jointly given or individually 1650 each - Rent offices spaces in santacruz east ,commercial ,premises ,buildings ,Mumbai Western Suburbs. N SANTACRUZ EAST RENT COMMERCIAL OFFICE SPACES IN SNATACRUZ EAST, RENT / LEASE OFFICE SPACES / COMMERCIALS / SHOPS SHOWRROMS IN SANATCRUZ WEST ,RENT IT PARKS IN SANTACRUZ EAST, RENT OFFICES SPACES,FURNISHED ,SEMI FURNISHED, UNFURNISHED ,SANTACRUZ EAST, IN MUMBAI WESTERN SUBURBS INDIA. 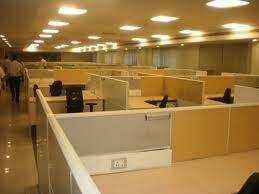 50000 sq ft and above furnished semi furnish﻿ office space rentals in santacruz east. rent hospitals rent policlinics rent shops rent showrooms etc Rent office space office permises / space / commercial building in kalina cst vakola bridge , santacruz commercial office / space rent / lease / hire new glass facade building near station close to bkc fully furnished semi furnished unfurnished it parks bpo call center ,near station highway and airport ,Mumbai india maharashtra western suburbs santacruz for more info pls call us ...Sanatcruz-properties-on-rent-offices..